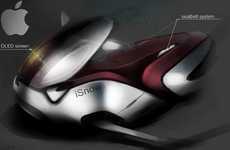 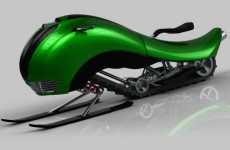 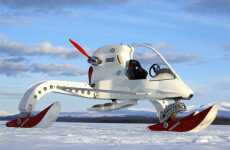 Looking a little bit like a helicopter without a propeller, the Rescue Snowmobile is a cutting-edge concept for a mountain-ready ambulance. 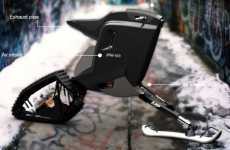 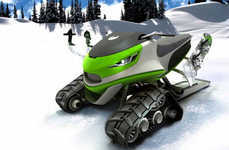 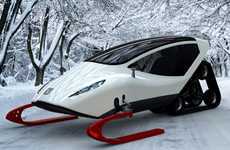 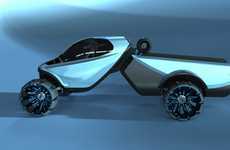 Given the high incidence of injury while skiing and snowboarding and the great difficulty that paramedics have in reaching the wounded, this extreme-terrain automobile would be a valuable piece of equipment to have close to the slopes. 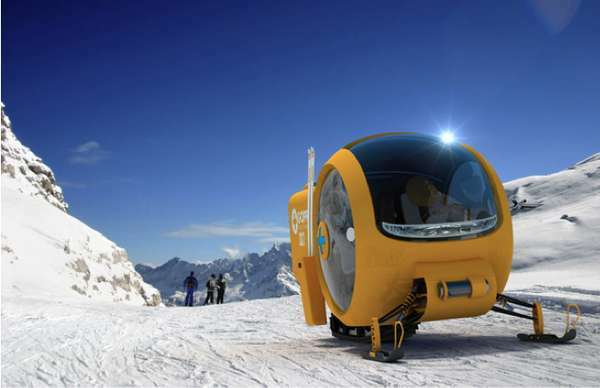 Designed by Lange & Lange, the emergency vehicle has a compact and encapsulated cabin that can can accommodate two people. 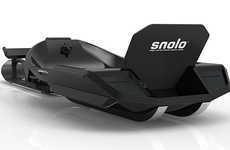 The projecting rear of the skidoo is a tight compartment that's generous enough in size to fit a flat stretcher with a person lying on top of it. 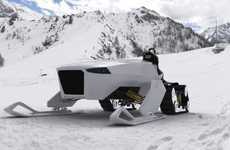 A railed ramp facilitates the loading of the victim inside the Rescue Snowmobile, and blades and a tank-like track mechanism allow it to travel safely over snow and ice.